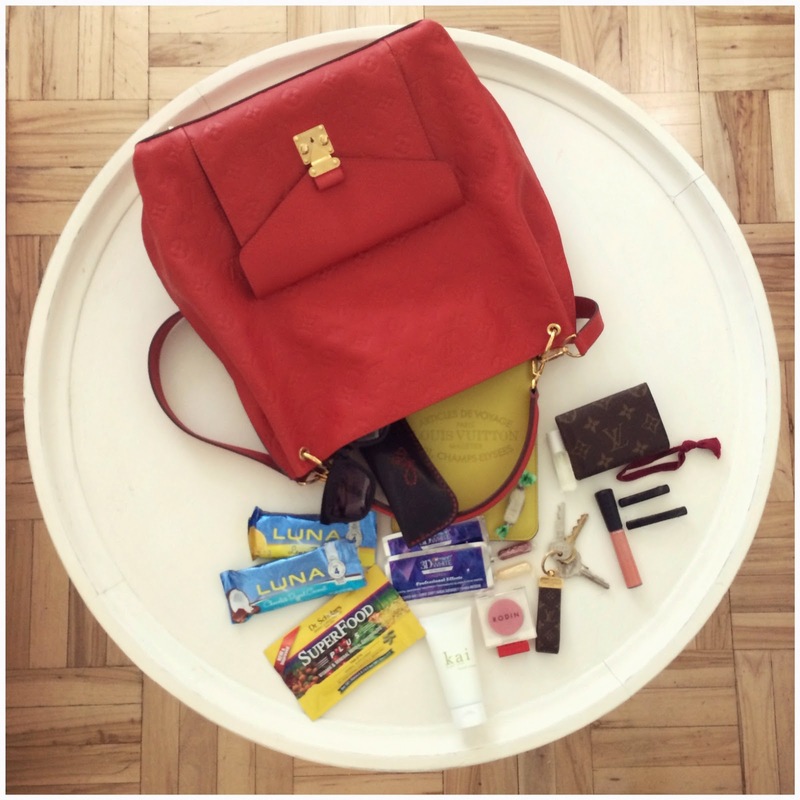 breath * life * flow: what's in my bag? i'm always hungry, luna bars and sweets of some sort are a must. elta sunscreen and kai hand cream. rodin lip balm which i'm constantly applying. crest white strips, hair ties for workouts and my lucky lego piece that has my name on it. mini ipad wherever i go for research and entertainment.